Dr. Tausi Mbaga Kida is the Executive Director of the Economic and Social Research Foundation (ESRF), a Policy Think Tank based in Dar es Salaam, Tanzania. She holds a PhD in Development Economics from Erasmus University Rotterdam: the International Institute of Social Studies, the Netherlands. She also holds a MA and BA Degrees in Economics from University of Dar es Salaam, Tanzania. Dr. Kida has over 15 years of experience in programme management, capacity development and socio-economic research. Prior to her appointment to the post of Executive Director, Dr. Kida was the Director of Programmes at ESRF since February 2011. She has authored a number of publications including chapters in books and articles in international journals. During her progressive career as social economic researcher, Dr. Kida has undertaken a profound role in policy development processes in Tanzania and in East Africa. 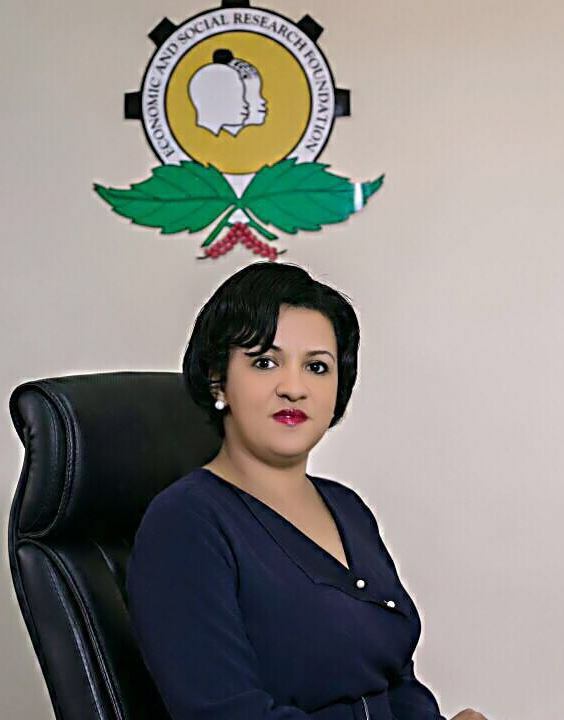 She is currently a member of Steering Committee for developing Tanzania’s second Five Years Development Plan 2016/17 – 2021/22. In addition, Dr. Kida is at the forefront in coordinating the process of mainstreaming of Sustainable Development Goals into Tanzania’s development policies, plans and strategies. In this regard, four main processes are being led by Dr. Kida namely (a) Developing a framework for Research Agenda on SDGs in Tanzania, (b) Developing a framework on localization strategy of SDGs in Tanzania, (c) Developing a framework of monitoring of SDGs in Tanzania and preparation of communication and dissemination strategy for SDGs in Tanzania. Some of her key engagements in the near past include taking leadership role in coordinating national consultation process for development of Post MDGs Development Agenda and directing the process of producing Tanzania Human Development Report 2014 “Economic Transformation for Human Development” for which she was the Project Manager. She was also a member of Regional Steering Committee for developing East Africa Vision 2050.